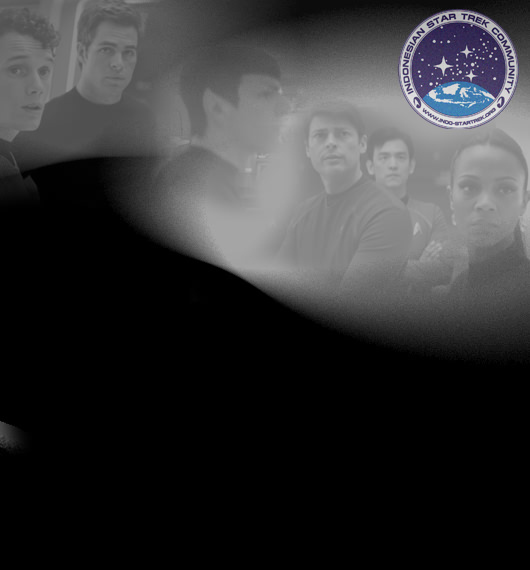 Indo-StarTrek - The New 'Star Trek' Movie GATHERING Hub! 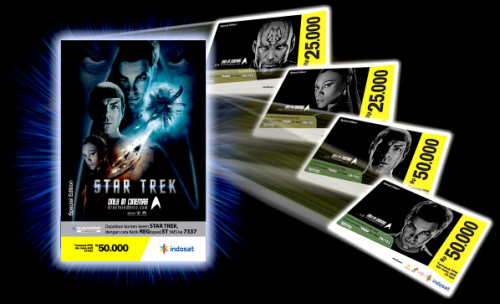 Nonton Bersama film Star Trek terbaru! 14 Juni 2009! Star Trek ® is a Trademarks of PARAMOUNT PICTURES. Paramount Pictures and Spyglass Entertainment Present a Bad Robot Production "Star Trek" starring John Cho, Ben Cross, Bruce Greenwood, Simon Pegg, Chris Pine, Zachary Quinto, Winona Ryder, Zoe Saldana, Karl Urban, Anton Yelchin, with Eric Bana and Leonard Nimoy. The film is directed by J.J. Abrams ("Mission Impossible III", "Lost", "Alias") and written by Roberto Orci & Alex Kurtzman ("MI:III", "Transformers"). Based upon "Star Trek" created by Gene Roddenberry. The film is produced by J.J. Abrams and Damon Lincelof. The executive producer are Bryan Burk, Jeffrey Chernov, Roberto Orci and Alex Kurtzman. The director of photography is Dan Mindel, ASC. The production designer is Scott Chambliss. The film is edited by Maryann Brandon, A.C.E. and Mary Jo Markey. A.C.E. The costume designer is Michael Kaplan. The visual effects & animation are by Industrial Light & Magic. The music is by Michael Giaccino. Get these Star Trek Special Edition Top-Up Cards! The fate of the galaxy rests in the hands of bitter rivals. 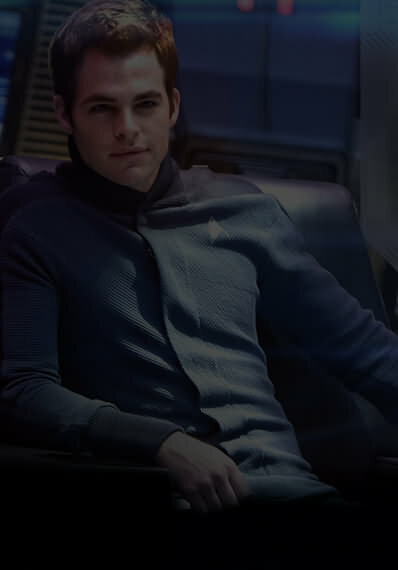 One, James Kirk (Chris Pine), is a delinquent thrill-seeking Iowa farm boy. 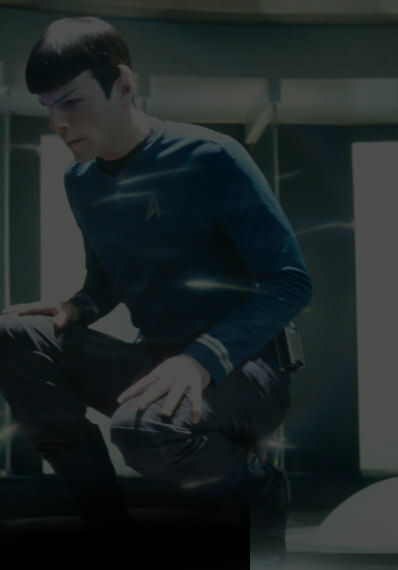 The other, Spock (Zachary Quinto), was raised in a logic-based society that rejects all emotion. As fiery instinct clashes with calm reason, their unlikely but powerful partnership is the only thing capable of leading their crew through unimaginable danger. boldly going where no one has gone before! 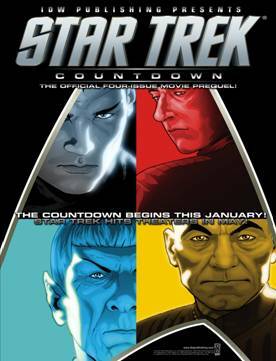 "STAR TREK COUNTDOWN" adalah 4 jilid komik terbaru Star Trek yang berupa prequel dari film layar lebar Star Trek yang akan datang. Jilid ke-4 (terakhir)-nya sudah terbit di Amerika tanggal 1 April lalu. Komik ini menghantarkan pembaca menengok asal-usul tokoh dan cerita dari film Star Trek. Tokoh yang ditampilkan antara lain adalah Captain Nero, Ambassador Spock, Ambassador Jean-Luc Picard, Captain Data (of Enterprise-E), Geordi La Forge, General Worf, dll. Komik ini menawarkan lebih dari sekedar prequel. Komik ini membangkitkan gairah fans Star Trek di seluruh dunia akan kembalinya tokoh Star Trek The Next Generation dan The Original Series. 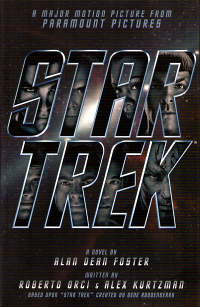 Sebuah novel baru berjudul "STAR TREK" telah terbit hampir bersamaan dengan premier film Star Trek terbaru. Novel dari Alan Dean Foster, ditulis oleh Roberto Orci & Alex Kurtzman ternyata menyibak detail cerita yang tidak tampak di film layar lebarnya.